At ALCOLOCK, we’re dedicated professionals who are passionate about developing and offering the best products and services possible. We’re not content with offering a single device or reselling an existing product line. Instead, we’re entirely committed to exploring every part of our industry and having control over the entire product development process. That way, we know exactly what our products can do and can ensure their quality is up to our standards. Over the years, we’ve established a reputation for being experts in our field. We’ve stayed at the top of the industry by developing a wide range of high-quality products that span the entire gamut, from lab equipment to devices that aid program facilitators to the breathalyzers and products the consumer uses throughout their program. The DRIVESAFE elite is one of the quality products we offer to help make the road to license reinstatement and independence as easy as possible. 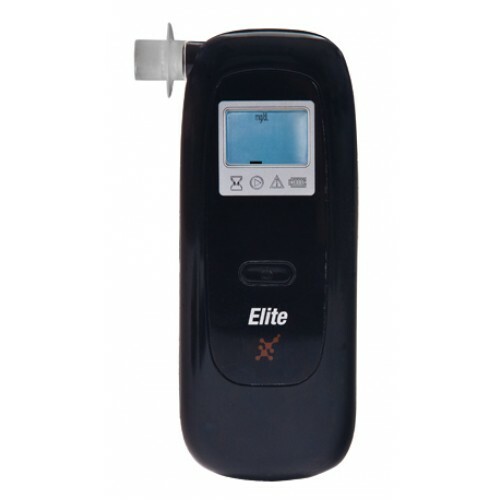 The DRIVESAFE elite is a personal breathalyzer designed with the average non-commercial driver in mind. It’s a pocket-sized breathalyzer that’s convenient and discreet. This device is perfect for drivers who lead active, on-the-go lives and want a way to test their Breath Alcohol Content (BrAC) without having to carry around a larger device. The DRIVESAFE elite relies on fuel cell technology to provide highly accurate readings every single time. Each DRIVESAFE elite package comes with a quick guide instruction manual and five individually wrapped mouthpieces to ensure each sample is sterile. You can purchase additional mouthpieces in sets of 25 or in larger quantities. Bulk discounts apply for mouthpiece orders of 40 or more. Here are some other features of the DRIVESAFE elite that our customers love. ALCOLOCK’s DRIVESAFE elite is one of a wide range of accessories and products we offer. From drivers to program facilitators, we have products and services that are perfect for whatever you need. At ALCOLOCK, we’re committed to helping you reach your goals, whether that’s finishing your ignition interlock program or helping the drivers you serve. Be sure to stop by our shop for more outstanding products and services designed specifically to help you reach your goals.